Great news for the upcoming academic year: Douglas County Partners for Student Success will be hosting two AmeriCorps members starting in early September! 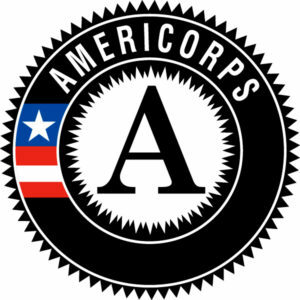 For those of you unfamiliar with the program, AmeriCorps is a civil society program supported by the federal government, foundations, corporations, and other donors. Its members do public service work in the fields of education, public safety, health care and environmental protection. Members commit to full-time or part-time positions offered by a network of nonprofit community groups and public agencies. Our AmeriCorps members will help DCPSS fulfill its mission in several ways. First, they will be working with at least 25 students and young adults each, acting as mentors to help them develop plans for their post-high school education and potential careers. The students will include those who participated this summer in the Expanding Horizons CTE summer camps, are currently involved with STEAM Beyond School programming or who have been identified by Umpqua Training & Employment as “opportunity youth.” The term refers to those between the ages of 16 and 24 who are not in school and also not working. AmeriCorps members will be listening carefully to the student voice to help current and future mentors respond effectively to youth. Second, our AmeriCorps members will help develop a manual for local mentors. They’ll identify existing resources for youth, as well as the skills and training mentors need to be effective. This ultimately will enable us to establish a more formal mentoring program that will help us boost graduation rates and launch more students to a meaningful future and employment. We at DCPSS are excited to welcome these new faces to our communities. Stay tuned for details and the opportunity to meet our AmeriCorps members as they do their part to guide our young people to brighter futures!